Today in Mice fans already know that rodents are no stranger to cancer research. Whether it&apos;s the discovery of the unique cancer-fighting gene of the naked mole rat or the creation of a mouse model of melanoma, we see progress as, well, progress. A study in the Jan. 19 issue of Cancer Cell reports on researchers who believe they have identified where the most common form of breast cancer originates, which may offer a hope for better targeting drugs at the disease&apos;s Achilles&apos; heel. Specifically, researchers from Tufts University School of Medicine, the Sackler School of Graduate Biomedical Sciences at Tufts and the Tufts Medical Center have figured out exactly which breast cells drive the development of certain breast cancer tumors. The team, led by Charlotte Kuperwasser and Philip Hinds, also identified the protein that allows these cells to differentiate, which can ultimately lead to the runaway growth that is cancer. Scientists have found it difficult to distinguish between the cells that make up the entire mammary tissue and those where cancer begins, and have even debated whether there was anything to distinguish. 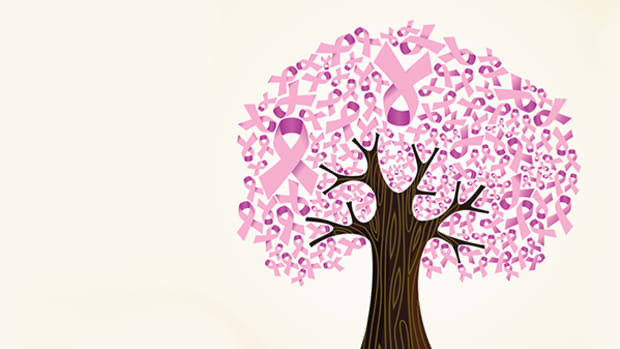 The Tufts team discovered that luminal-like breast cancers (the two most common types, and which are sensitive to hormones) originate from self-renewing cells known as lobule progenitors. When working properly, these cells create milk-producing structures in the breast tissue during pregnancy and lactation. After identifying the cells, the researchers inhibited a protein in them, called cyclin D1, which allows them to self-renew and differentiate. Genetically altering lab mice, they made sure the gene known to cause luminal-like breast cancer was present but they also inactivated the cyclin D1. The team found that with the protein knocked out, mice didn&apos;t develop breast tumors. 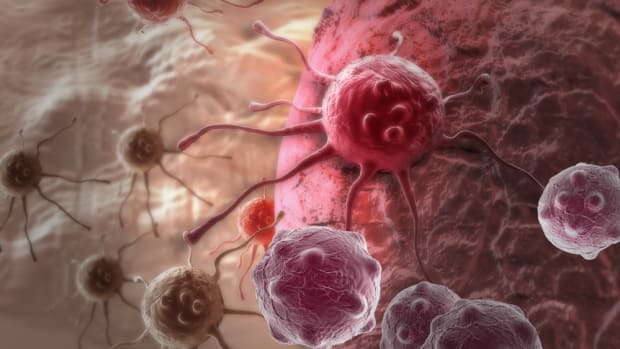 According to the researchers, the next step is to see if shutting off cyclin D1 can slow or reverse the growth of already-developing tumors. If it does, they say, breast cancer-fighting drugs might have a new target.